Abstract: The 21st century marks the prosperity of Internet of Things (IoT) with the stream of technology change that facilitates the production and capital stock of R&D activity that drastically reshaped the social economy structure over the next decades of years. The study aims to develop a recursive dynamic model of science technology, and innovation policy for analyzing social economic impact on multi-sectors including their production, information allocation, and R&D units in order to make the assessments on the science for policies and its social economic factors. By reviewing the economic impact through examining several alternative policy options on the manufacturing sectors with IoT implementation for its information allocation and processioning to accelerate its productivity, the most pressing issues on the overall economic structure could be tackled while the consequences being foreseen. The data used in the model were sourced from input-output table with expansion of the tangible and non-tangible capital investment by considering long/short run block, labor market modeling, value-added and wage determinant, government balance sheet, foreign and the final demand block. The study interpreted interconnection of exogenous technology scenarios of the policy options to capture the long term structural adjustment and transitions driven by innovation policies in comparison of the baseline of business as usual to derive the impact in the general inter-dependency of economy constituted the multi-sectoral general equilibrium economic model. The model expected to shed lights on implication of total factor productivity for its process change on the demand side while the productivity improvement in information provision service sector that enlarges the platform-typed business among industries. Such business platform is indispensable for utilizing the cross-sectoral information technology whereas these fundamental factors based on information and system technology of robotic artificial intelligence will construct a new relationship of human kind and machine. The study demonstrated policy options by introducing different level of the processing efficiency index in the activity divisions of marketing, planning, R&D, procurement, operation and sales, conservative, the deviations of economic variables in production process were examined. The simulation results showed the change on employment and production division along with the IoT advancement of its short/long-run effect. For manufacturing sector, the efficiency improvement would increase the production, public, private R&D investment and consolidate the knowledge stock for the expansion of knowledge infrastructure that rose TFP through the public and private investment respectively. Moreover, the information management could benefit from outsourcing and externalization while the cross-sectional platform of information management may thus be established for economic development. Finally, the human resource and higher level professional education revealed an increase especially in information related, service and R&D division in private sector. The dilemma serves as the most challenging direction for the industrial evolution would increase the gap of knowledge that causes technological unemployment remains a concern, the analytical framework in the study is expected to provide evidence-based approach to confront the critical issue by unfolding the process specifically and respond to a trans-formative change agenda for innovation to achieve sustainable development. Bio: Born in 1982. Associate’s Degree in Toyota National College of Technology (2004). B.A. in Graduate School fo Economics (Advanced Course, 2006). M.A. in Faculty of Economics, Hitotsubashi University (2009). DC1 Fellow in Japan Society for the Promotion of Science from 2009-2012. Research Associate in Institute of Innovation Research, Hitotsubashi University from 2012-2015. Specialist in Science for RE-Designing Science, Technology and Innovation Policy Center (SciREX Center) in National Graduate Institute for Policy Studies from 2015. Worked in Clara Online, Inc. [IT Startup] from 2002 to 2009. Major Research Topic: (a.) Social Construction of Technology and the role of scientist, (b.) international comparative analysis for national innovation system, (c.) Evaluating economic impact of ICT system. Abstract: New energy vehicle (NEV) is gaining momentum in energy research, and statistical data shows us the importance of this topic for practitioners as well. This paper provides a retrospect to the researches recently completed in NEVs field, emphatically compares the progress between China and USA. The vast NEV literatures published over the past fifteen years are analyzed through bibliometric methods in order to explore the scope of the field, detect current research priorities, and recognize the most prominent papers and authors. This study identifies thematically related clusters of research and shows how the NEV field has evolved through interconnected, yet distinct, subfields. In addition to looking inside the research pattern and evolution path, it explains the differences across countries from the point of national innovation system (NIS) and strategic planning. The paper concludes with a short outlook on the potential frontiers and drawbacks in the on-going NEVs academic research. 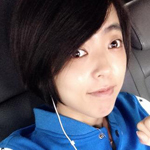 Bio: I am a doctoral candidate of Humboldt-Universität zu Berlin from China. My professor is Prof. Dr. Stefan Hornbostel. Now, I study and work in DZHW with Chinese Governtment Scholarship. My Research interests are bibliometics and patentometrics. I have obtained an Engneering Master degree, which offers me some background information of scientific management and innovation studies. Abstract: The present study had its origins in a series of communications from NHLBI-funded mid-career investigators regarding perceived difficulties in the renewal of their grants. This led us to ask: “Are mid-career investigators experiencing disproportionate difficulties in the advancement of their professional careers?” We find that there has been a significant and evolving shift in the demographics of research project grant (RPG) awardees at NHLBI. Since 1998 the proportion of established investigators (ages 56-70+) receiving research project grant (RPG) awards has been rising in a gradual and linear fashion. At the same time the proportion of early-stage RPG awardees (ages 24-40) fell precipitously until 2006 and then stabilized. During the same period, the proportion of mid-career RPG awardees (ages 41-55), which had been relatively stable through 2006, then began to fall significantly. In examining potential causes of these demographic shifts we have identified certain structural properties within the RPG award process that appear to promote an increasingly older RPG awardee population and continual decreases in the proportion of mid-career RPG investigators. A collateral result of these demographic shifts, when combined with level or declining funding, is a progressive reduction in the number of independent laboratories funded by NHLBI that selectively impacts mid-career investigators. Bio: Marc Charette, Ph.D. is a Program Director in the Cardiovascular Sciences Division at the National Heart, Lung, and Blood Institute (NHLBI). Dr. Charette’s responsibilities include management of a portfolio of extramural grants and coordination of the VITA Program. VITA (Vascular Interventions/Innovations and Therapeutic Advances) is an NHLBI translational initiative that seeks to stimulate early-stage biomedical product development. Dr. Charette is particularly interested in the processes that promote the translation of basic research discoveries into promising product candidates and is also interested in portfolio analysis and the development of policies to promote high impact science. He has a doctorate in genetics from the University of Chicago and did postdoctoral research at the Harvard Medical School. Prior to NHLBI Dr. Charette was an executive in the biotech industry developing novel drug candidates for various diseases and disorders. Abstract: In 1965, Derek de Solla Price foresaw the day when a citation-based taxonomy of science and technology would be delineated and correspondingly used for science policy. A taxonomy needs to be comprehensive and accurate if it is to be useful for policy making, especially now that policy makers are utilizing citation-based indicators to evaluate people, institutions and laboratories. Determining the accuracy of a taxonomy, however, remains a challenge. Previous work on the accuracy of partition solutions is sparse, and the results of those studies, while useful, have not been definitive. In this study we compare the accuracies of topic-level taxonomies based on the clustering of documents using direct citation, bibliographic coupling, and co-citation. Using a set of new gold standards – articles with at least 100 references – we find that direct citation is better at concentrating references than either bibliographic coupling or co-citation. Using the assumption that higher concentrations of references denote more accurate clusters, direct citation thus provides a more accurate representation of the taxonomy of scientific and technical knowledge than either bibliographic coupling or co-citation. We also find that discipline-level taxonomies based on journal schema are highly inaccurate compared to topic-level taxonomies, and recommend against their use. Bio: Kevin W. Boyack is President of SciTech Strategies, Inc., and has been with the company since summer of 2007. Previously he spent 17 years at Sandia National Laboratories where he worked in various areas including combustion (experimental and modeling), transport processes, socio-economic war gaming, and science mapping. Since joining SciTech his work has centered on developing more accurate global maps of science. 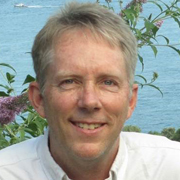 He has published over 40 articles dealing with various aspects of science mapping and related metrics. Current interests include detailed mapping of the structure and dynamics of science, technology, and altruism; merging of multiple data types and sources; and development of advanced metrics. Abstract: Our study is a contribution to the science of science production. We employ a dynamic modelling tool (system dynamics) to investigate different growth modes of scientific output across countries. We use academic papers as a proxy for scientific output. As an example case, we have chosen publications in the field of HIV/AIDS. We have gathered data for more than 1,200,000 papers (published between 1984 and 2012) in this field which includes more than 250,000 authorships. A multi-layer system dynamics model is developed to investigate the underlying mechanisms of scientific progress in the case of HIV/AIDS research. In this research, we have introduced a conceptual model for production of academic papers which we called reproduction of academic papers. We have defined this concept with a mathematical model applicable to generation of academic papers in the scientific community. We have connected this concept with science workforce growth, and international scientific collaborations to explain the patterns of publications in different regions of the world on the topic of HIV/AIDS. The results from our analysis generates insights on different topics of research policy including research priority, distribution of resources, alignment of research with regional challenges, etc. 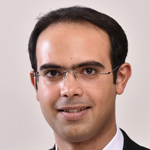 Bio: Arash is a PhD candidate in the Grado Department of Industrial & Systems Engineering at Virginia Tech. He is interested in tackling complex interdisciplinary problems which involve social, economic, technical, cultural, and environmental aspects. He has used dynamic modelling tools as well as experimental design in the past. He has worked on a variety of topics including science policy, complex systems, health care, and safety. Abstract: Technology influences virtually every aspect of science, economy, and human life, but too little is understood about how new technologies arise or how to rigorously predict them. Technology is invented by inventors, and understanding what leads inventors to invent in a particular technology domain may allow for better prediction of future inventions and technology changes. Analyses of patents are providing increasing understanding of what properties predict successful invention, but there is less consideration of individual inventors’ rationales and behaviors, and how the structure of the technology space may condition them to succeed in such inventions. When inventors seek to create new technology they must choose where in the technology space to allocate their efforts and time: Should they work in domains that many others are working on, or in unpopular ones? Should they focus on domains closely related to what they already know, or explore those distant ones from their prior experiences and knowledge? We examine data from 4 million patents and 2.8 million inventors. We created a network map of 629 technology domains and how strongly they relate to each other. We find that inventors are far more likely to successfully enter technology domains that are related to their own individual inventive experience but are also widely popular. 50% of inventors’ movements are to the 1% most related and popular domains. We used over a billion data points to build a model to predict individual inventors’ future movements in the technology space, which is predictive even when trained only with data from 20 years prior. Moreover, we build a second set of models that predicts inventors’ performance in the newly entered domains. We found that inventors who move into related domains patent more than expected when compared to other inventors that start patenting in those domains in the same year, but inventors who successfully move into less related domains receive more citations per patent. Our data-driven predictive models may allow for better forecasting of future inventions and technological changes. Such models are also a tool that inventors can personally use, which uses the inventor’s own history to provide a ranked list of domains to consider. These tools may also be most useful for organizations and governments seeking to quantify the expertise of their workforce and what new domains that expertise could be used in. 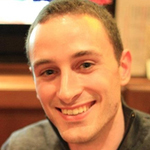 Bio: Giorgio Triulzi is a postdoctoral fellow at the Institute for Data, System, and Society at MIT and an affiliated researcher at UNU-MERIT. His research interests focus on understanding drivers and direction of technological change and its wider effects on the economy. He applies theories and methods from complex system analysis, networks, evolutionary economics and strategy. 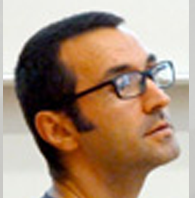 Giorgio has a PhD in Economics and Policy Studies of Technical Change from UNU-MERIT and Maastricht University. Abstract: Similarly to the probability distribution of energy in physics, the probability distribution of money among the agents in a closed economic system is also expected to follow the exponential Boltzmann-Gibbs law, as a consequence of entropy maximization. Analysis of empirical data shows that income distributions in the USA, European Union, and other countries exhibit a well-defined two-class structure. The majority of the population (about 97%) belongs to the lower class characterized by the exponential (“thermal”) distribution. The upper class (about 3% of the population) is characterized by the Pareto power-law (“superthermal”) distribution, and its share of the total income expands and contracts dramatically during booms and busts in financial markets. Globally, data analysis of energy consumption per capita around the world shows decreasing inequality in the last 30 years and convergence toward the exponential probability distribution, in agreement with the maximal entropy principle. Similar results are found for the global probability distribution of CO2 emissions per capita. All papers are available at http://physics.umd.edu/~yakovenk/econophysics/. For recent coverage in Science magazine, see http://www.sciencemag.org/content/344/6186/828. Bio: 1984 – M.S. in Physics and Engineering from the Moscow Physical-Technical Institute. 1987 – Ph.D. in Theoretical Physics from the Landau Institute for Theoretical Physics, Moscow; then Research Scientist there. 1991 – Postdoc at the Department of Physics, Rutgers University, New Jersey. 1993, 1999, 2004 – Assistant, Associate, and Full Professor at the Department of Physics, University of Maryland, College Park. Abstract: Relational data sets are often visualized as networks: objects become the network nodes and relations become the network links. Network visualization algorithms aim to present such data in an effective and aesthetically appealing way. We describe map representations, which provide a way to visualize relational data with the help of conceptual maps as a data representation metaphor. While networks often require considerable effort to comprehend, a map representation is more intuitive, as most people are familiar with maps and ways to interact with them via zooming and panning. We consider map representations of research papers in computer science. Words and phrases from paper titles are the cities in the map, and countries are created based on word and phrase similarity. With the help of heatmaps, we can visualize the profile of a particular conference or journal over a base map of all computer science. Similarly, we can create heatmap profiles for individual researchers or research groups. See http://mocs.cs.arizona.edu for more details. 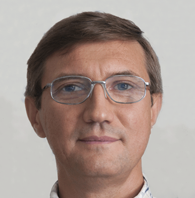 Bio: Stephen Kobourov is a Professor of Computer Science at the University of Arizona. He completed BS degrees in Mathematics and Computer Science at Dartmouth College in 1995, and a PhD in Computer Science at Johns Hopkins University in 2000. He has worked as a Research Scientist at AT&T Research Labs, a Hulmboldt Fellow at the University of Tubingen in Germany, and a Distinguished Fulbright Chair at Charles University in Prague. 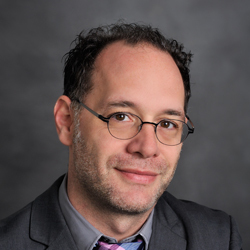 Bio: C. Scott Dempwolf is an Assistant Professor in the Urban Studies and Planning Program at the University of Maryland, College Park, and Director of the UMD – Morgan State Center for Economic Development. Scott is also affiliated with the National Center for Smart Growth. His research focuses on understanding innovation ecosystems including the networks of people and organizations that comprise them and the activities that they engage in. Scott uses network and temporal analysis tools to visualize and analyze these innovation ecosystems and their patterns of innovation activities. In addition to aiding in the development of new innovation metrics this research has applications in research portfolio management, technology transfer, economic development, public policy and corporate strategy. In 2015 Scott founded Tertius Analytics, LLC, a consulting firm with a longer-term goal of commercializing applications using his unique analytic technologies. 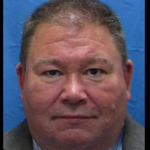 Before pursuing his PhD in Urban and Regional Planning at the University of Maryland, Scott practiced community and economic development for over 20 years at the neighborhood, city, county and regional levels. He earned his PhD and joined the UMD faculty in 2012. 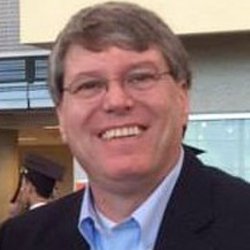 Scott holds a Masters in Community and Regional Planning at Temple University; and a Bachelor’s from the Massachusetts Institute of Technology. Abstract: I will discuss a novel program of research on information diffusion that uses human social systems as its basis. Humans, as individual systems, exhibit several properties–motivation, memory, the making of endless predictions, systematic biases, and multiple modes of learning; heterogeneity (individual differences) is the norm–that challenge the notion of information diffusion. Bounded by these properties, this fellowship will explore deep questions such as: What is the nature of human information diffusion? And, what are the implications for information diffusion, writ large, and ultimately for complexity itself? The core orientating framework I propose stems from Herb Simon’s conceptualization of artifacts. An artifact is defined, in part, by a system that has a clear boundary or interface to its environment (which may be other artifacts). Physical symbol systems (including computers, minds and brains) are artifacts par excellence. In the human case, the physical symbol system adapted through evolution to solve problems posed by complex environments (both physical and biological in nature). This idea, then, really explores the implications of an abstraction: Diffusion of information in humans is diffusion among a set of artifacts called physical symbol systems. The secondary, but still central purpose of my program of research is to use diffusion among physical symbol systems as a window into complexity itself, from first principles so to speak, addressing deep theoretical questions related to nesting/hierarchy, near-decomposability, topological methods, and potentially, the generation of physical symbol systems. These goals may have implications beyond information diffusion into topics such as distributed computing, medicine, and education. Core questions are of this nature: How and under what conditions are physical symbol systems generated? Is a graph-theoretic approach useful for understanding diffusion in physical symbol system, and if so, under what conditions? What is autonomy in distributed information systems? Bio: Dr. Orr was originally trained as a cognitive psychologist at the University of Illinois at Chicago. He received augmentation to this training with postdoctoral fellowships in computational modeling (Carnegie Mellon), neuroscience (Albert Einstein College of Medicine), and epidemiology/complex systems (Columbia University). Over the past decade, he has become heavily involved in understanding dynamic processes and drivers of risky behavior and decision making, primarily in a public health context, at the scale of the individual and populations. Currently, he is PI on an NSF funded project that explores a highly novel approach for understanding the diffusion of attitudes on social networks in the context of health behavior (see http://www.nsf.gov/awardsearch/showAward?AWD_ID=1520359&HistoricalAwards=false). He is now currently expanding these ideas into other contexts and for other applications (e.g., DoD, DoE, DHS). How can recommendations aid scholarly decision-making? Abstract: This talk will explore how Thomson Reuters applies an augmented intelligence approach to aid researchers with persistent information tasks such as identifying relevant journals for manuscript submission, identifying potential researchers for peer review, and identifying the most salient literature in new research domains. After reviewing solutions currently in production in EndNote and ScholarOne, we will share our latest R&D project in collaboration with the University of Washington. We couple the hierarchical structure of the citation network – which reflects the natural hierarchical structure of scientific domains, fields, subfields, and so forth – with importance scoring based upon a network centrality measure. In this way we use hierarchical clustering to determine relevance and then recommend papers based upon their importance within these clusters. Thus, we are able to generate a spectrum (or scale) of recommendations for any given topic, paper, or set of key words. We can find papers that are very closely related but perhaps not yet very influential (Expert Recommendations). Alternatively, we can find papers that may be more distantly related but represent foundational contributions to the broader area of research (Classic Recommendations) for researchers new to a field. 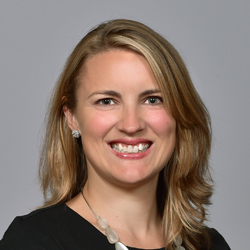 Bio: Julia Laurin is Vice President, Head of Product Management at Thomson Reuters Intellectual Property & Science where she oversees product strategy for Government & Academia solutions including Web of Science, InCites, Journal Citation Reports and Converis. As Head of Product Management, Julia works on crafting software, content and services solutions that support the scholarly eco-system. Julia has a strong professional interest in the potential of multi-institution collaborations and industry initiatives such as VIVO and ORCID to accelerate innovation, as well as R&D efforts to support visibility and greater understanding into the structure and dynamics of science. Before joining Intellectual Property & Science, Julia worked in product development for the Legal division of Thomson Reuters, where she focused on expert witness products and services. Julia holds a JD from UC Berkeley and BA in International Relations from Wellesley College. She lives in Pittsburgh, Pennsylvania, with her husband and three daughters. Abstract: This effort out of Indiana University aims to develop and broadcast “science forecasts,” a news show that communicates local and global developments in science, technology, and innovation to a general audience. In Spring 2015, a pilot episode was recorded featuring a moderator that explains trends using an animated map of science (analogous to a weather forecast) and a zoom into a specific research result on ‘using Twitter for detecting episodes of depression’ presented by Johan Bollen who is interviewed by Fred Cate, both faculty at Indiana University. 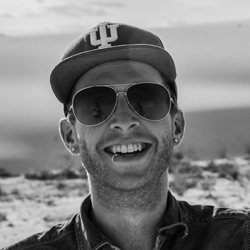 Bio: Andreas Bueckle is a PhD student in Information Science at Indiana University as well as a videographer and photographer. 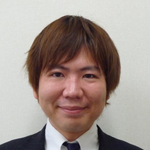 His academic interests revolve around visual feedback systems for programming. In that context, he currently does research on how video games function as feedback systems for game programmers. To that end, he co-teaches a novel class on video game programming at Indiana University. As a professional videographer and photographer, he has been hired by various clients for the past six years. He has worked on video and photo projects on 3 continents, with a focus on documentary as well as nature, especially social issues and nature photography. Check out work samples on andreas-bueckle.com.